Jaden Smith is an American child actor, rapper, songwriter, dancer, and the son of Will Smith and Jada Pinkett Smith. He is the elder brother of singer Willow Smith. His breakthrough role was in the 2006 film The Pursuit of Happyness, and he has also starred in the remakes of The Day the Earth Stood Still and The Karate Kid. Born on July 8, 1998 in Los Angeles, Jaden Christopher Syre Smith was the son of rapper-turned-actor Will Smith and his second wife, Jada Pinkett Smith. The young Smith had a sister, Willow, and a half-brother, Trey. Both of Smith's parents remained friends with Will's ex-wife, Sheree Zampino; even sharing custody of Trey. Their story inspired the TV program, "All of Us" (UPN, 2003-07). Following in his famous parents' footsteps, Smith appeared on six episodes of "All of Us." The sitcom was produced by and based on Will and Jada's experiences of raising a blended family. Smith played Reggie for six episodes of the short-lived series. His next TV appearance was in the April 2008 episode "Romancing the Phone" of "The Suite Life of Zack and Cody" (Disney Channel, 2005- ) that starred fellow young actors - and twins - Dylan and Cole Sprouse. It did not take long for the camera-friendly Smith to make a splash on the big screen; an outlet that had turned his father into a superstar. He co-starred with dad in "The Pursuit of Happyness," a 2006 biographical drama about Chris Gardner, a homeless man who became a successful stockbroker. There was not one dry eye in movie theaters when the father and son duo were onscreen playing a penniless family unit filled with hope, love, and the determination to survive. Smith even won an MTV Movie Award for Best Breakthrough Performance in 2007 for his role in the drama. Before he started junior high, Smith was already a hardworking and in-demand actor in Hollywood, appearing in singer Alicia Keys' 2008 music video "Superwoman," which also co-starred his mother. He also worked on the science fiction remake of "The Day the Earth Stood Still" (2008) with Keanu Reeves and Jennifer Connelly, who played his stepmother in the film. Smith had all of Hollywood talking when it was announced in 2008 that he would star in another remake - this time in the teen martial arts drama "Karate Kid" that his father would produce. Variety magazine reported the movie would be written for Smith and also loosely based on the 1984 original that starred Ralph Macchio and Pat Morita. 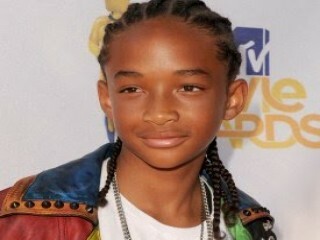 View the full website biography of Jaden Smith.